Bellator 149: “Shamrock vs. Gracie” comes to Toyota Center in Houston, Texas, on Feb. 19, 2016. Already announced for the card is a third match between Royce Gracie and Ken Shamrock, and a heavyweight grudge match between Kevin “Kimbo Slice” Ferguson and Dhafir “Dada 5000” Harris. New additions to the card continue to be revealed as the weeks go by, and the latest announcement pits two “Assassins” against one another. Melvin “Young Assassin” Guillard and Mike “Greek Assassin” Bronzoulis. Both men will be looking to change their fortunes in Bellator MMA in this upcoming bout. 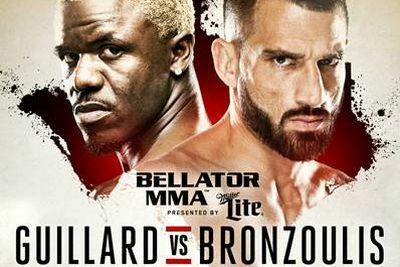 Guillard came up short in his Bellator MMA debut against “Cold Roll” Brandon Girtz, but still boasts a career record of 32–15–2 (2 NC) and a reputation as a dangerous striker with 21 wins by knockout or technical knockout. Bronzoulis, a former Bellator “Fight Master” semifinalist, brought a three-fight winning streak into Bellator 142: “Dynamite 1” but faced one of best lightweights in the last decade in Josh “The Punk” Thomson and was finished via arm-triangle choke. His career record is now 18-9-1. The updated Bellator 149: “Shamrock vs. Gracie” card is below.